Our heavy duty, black, U.V. stabilized catch net is mounted to the top of the backboard with powder coated steel brackets. The net support frame is made of powder coated steel tubing and super-strength corrosion resistant connectors. 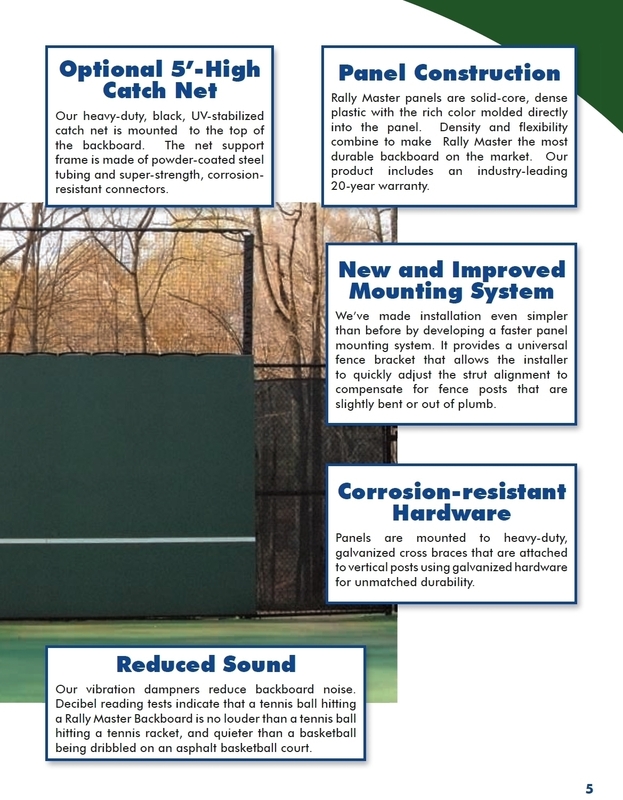 "Rally Master Backboards are a great value. Our camps and clinics integrate backboard drills as part of the teaching process.... Sean O'Neil, USPTA"